A giant Zombie Hand shaped ice sculpture for drinks, made from silicone and cleverly designed to remain level in your fridge during freezing! The zombies have come back from the dead and they're coming for you in your drink! do you dare take another sip? 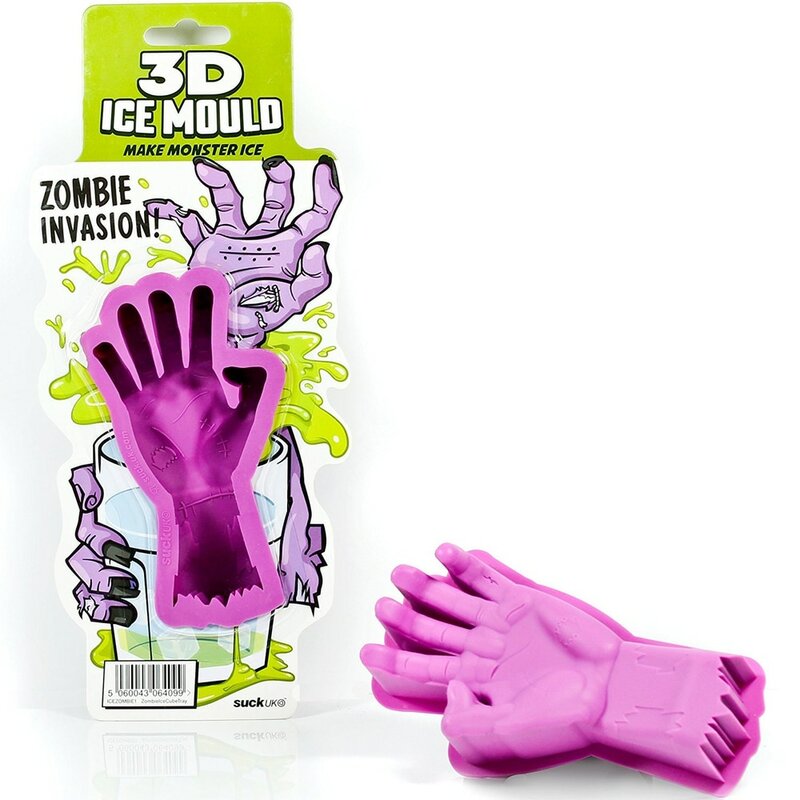 The 3D Zombie hand Ice Mould is a perfect gift or fun bit of entertainment for the kids at a party (big and small! ).